A female Cypriot citizen was arrested by authorities in the north for participating in a protest in the state-controlled areas against the Turkish invasion of Syria’s Afrin province, reports said on Tuesday. According to CyBC, this is the first time that a citizen of another country was arrested in the north for taking part in an ‘incident’ in the south. The woman was arrested on Sunday after she tried to cross to the north at the Ayios Dometios checkpoint. 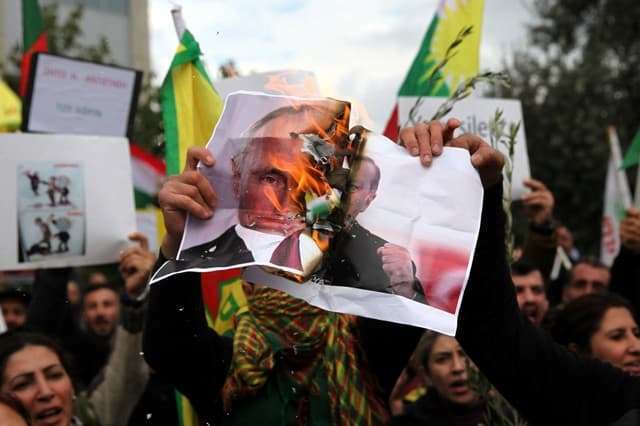 She was then taken by authorities for questioning, where she was shown pictures of herself protesting at a Kurdish demonstration against the Afrin invasion in the state-controlled areas.